1st $500, 2nd $250, 3rd $150, 4th $100. 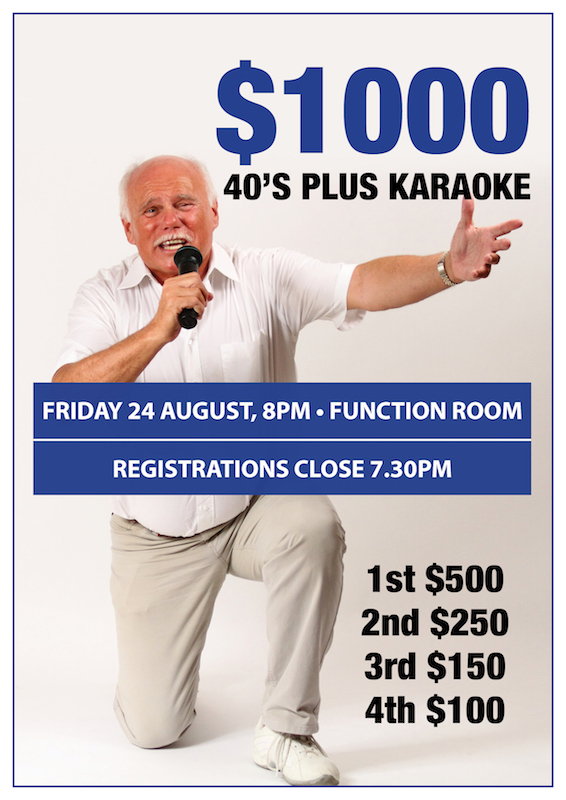 Registrations close 7.30pm open the night. Free Entry!